Come enjoy the art, food, and entertainment! 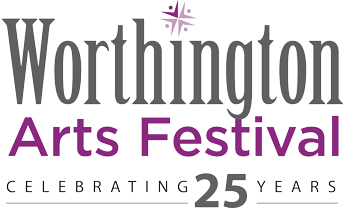 The 25th Annual Worthington Arts Festival is one of Central Ohio’s premier, community Fine Art/Fine Craft shows. The show is held on the lawn in front of the Peggy R. McConnell Arts Center of Worthington, Ohio. Here is a brochure of the weekend's events! A day of Art and Shopping in lovely downtown Yellow Springs, OH. I am thrilled that they featured my Tree of Life Pendant in the center of this year's flyer!